A set of four TEA-inspired organic lip balms that is gonna be a GIFT-GIVING GAME CHANGER for you (and your chapstick addiction)! The perfect natural gift for the tea-lover in your life...think coworker gifts, teacher appreciation, neighbor gifts, play date mommies, yoga instructor gifts, etc. Scented lightly with therapeutic-grade essential oils, these organic shea butter lip balms are the gift that fits EVERYone. 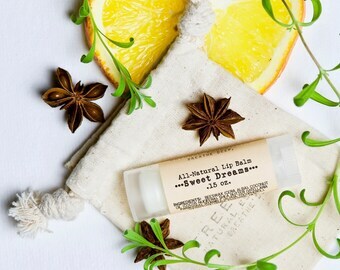 Treesnail natural lip balms are made with organic butters and waxes for non-drying, chemical-free moisture - our unisex lip care line is a guaranteed 'win' at your next gifting event. We understand not having the time to read every label but still trying your best to keep things chemical-free (especially with your natural skin care routine). Which is why we guarantee that E.V.E.R.Y. drop in our products is free from dye, fragrance oils, flavors, and anything unnecessary. 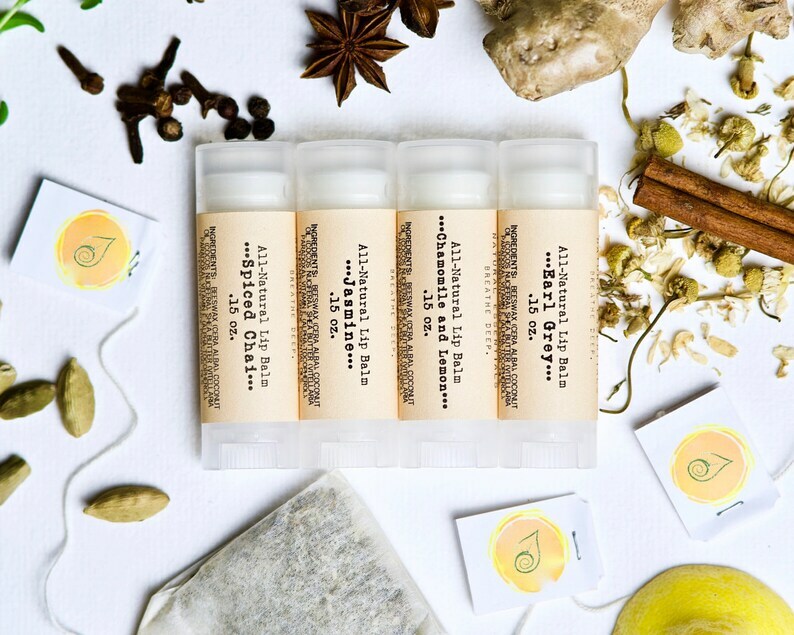 Each organic tea lip balm set comes packaged in a sustainable cotton muslin bag or an optional add-on gift box (see listing photos). • Essential oils vary per scent...visit individual product listings for a breakdown of each.